Reading about Kevin Menck trying out the "Zorn Palette" inspired me to give it a go. The Zorn palette is Ivory Black, Yellow Ochre and Red. (Plus white of course) I used a Napathol Red. A fun go with this palette and it's good to keep in my arsenal. 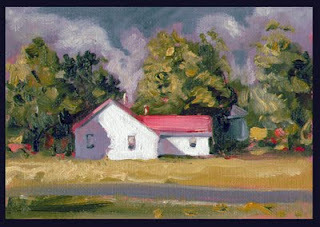 This is in Viola Tennessee except I made the roof red instead of green. There is a corn field before the house. I could not get that corn stalk green so I just made it grass. Check out Kevin's Blog www.kevinmenck.blogspot.com. It's well written plus he has some fine work posted. 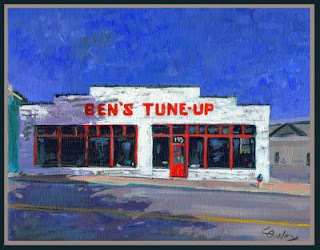 I saw this closed down auto shop in Asheville NC. The sun was shining just right with a nice cast shadow. 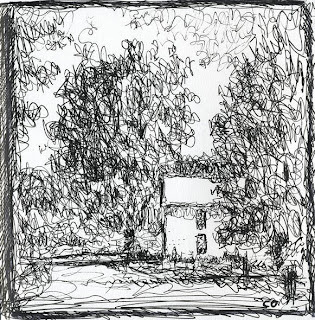 A scibble ink sketch from my motorcycle cruise at a stop on Winchester Highway. 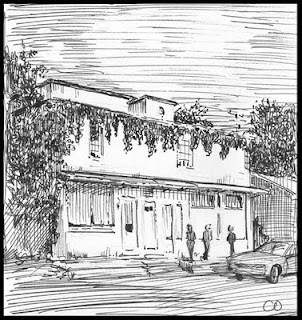 Pen and ink sketch of an old store building I did in Auburtown TN. TheLynchburg Welcome Center in Lynchburg Tennessee. 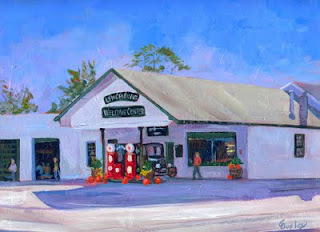 Available at Local Palette Gallery in historic Lynchburg Tennessee. 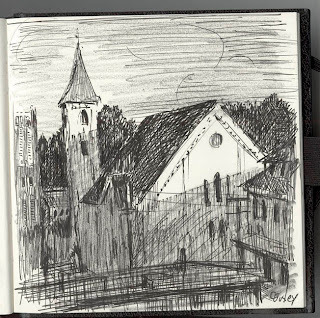 This was the view early morning from my 3rd floor hotel room in Staunton Virginia. I like downtown Staunton a lot. Got to plan another trip there. 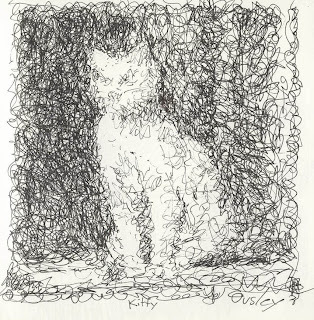 A scribble sketch of Kitty. 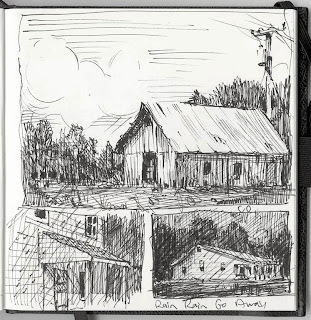 Pen and ink sketches from out in the country. Uniball pen. 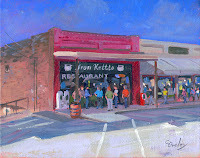 The Iron Kettle Restaurant in Lynchburg TN. Oil on 1.6 inchgallery wrap canvas.